Mission: Honoring every moment of life, Pathways provides compassionate, excellent, comprehensive care for those who have an advanced medical condition and those who are grieving. Vision: Pathways is committed to being the region’s preferred provider of hospice services through excellent patient care in all settings, and comprehensive grief support. We educate about end-of-life care, partner with caregivers, remain good financial stewards, grow to meet our community’s needs, and strive to be an employer of choice. Values: We honor life through: Compassion; Respect; Integrity; Excellence; and Stewardship. 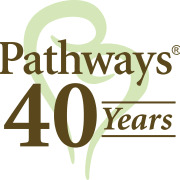 Pathways, located in Fort Collins and Greeley, is a local nonprofit organization providing symptom management and support for serious long-term illness, expert medical and hospice care for individuals navigating the last months of life, and grief counseling and programs for those mourning the loss of a loved one. From our beginnings in 1978, when a group of nurses came together in Loveland to voluntarily care for a friend in the final months of her life, we’ve been assisting Northern Colorado residents with hospice care and grief counseling regardless of financial circumstance. We serve individuals living in Larimer County, western Weld County, and the Highway 85 and I-25 corridors including the towns of Fort Collins, Loveland, Greeley, and Windsor. Volunteers are truly at the heart of Pathways care, providing support to patients, families and Pathways staff. Today, more than 250 volunteers work in almost every department of Pathways. We offer a variety of ways to become involved in clinical and non-clinical roles. Clinical roles include those in which volunteers provide support to patients and families; non-clinical roles are "behind-the-scenes" in nature and are vital to the delivery of our organization’s mission. Whatever your skills, interests and motivations, our community is strengthened by your volunteer involvement. THANK YOU!